Get upto Rs.2500 off on domestic flight bookings. 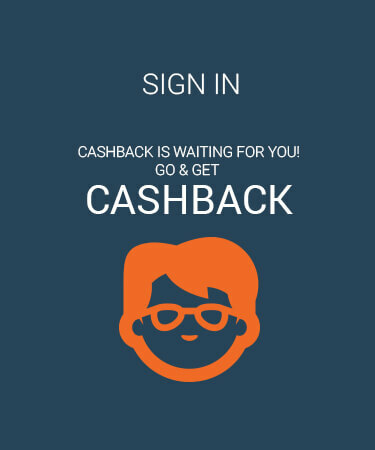 Applicable on bank debit/credit cards & netbanking transactions. Valid on latest version of the Flipkart Android App. Get upto Rs.25,000 off on international flight bookings. Applicable on bank debit/credit cards & net banking transactions. Valid twice per user. Valid on latest version of the Flipkart Android App. PaisaWapas offers you the best prices on various products featured on Flipkart Travel, Now Book Domestic Flights on Flipkart App. 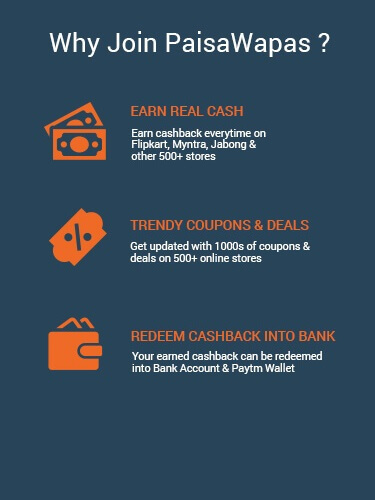 Book on Flipkart and get reward & extra cash back by paying from banks like HDFC debit and credit cards. Step 2: Click on the offer that you want. This will take you to Flipkart Travel Website. Step 3: Shop normally at Flipkart Travel . Pay as you normally do, including by Cash-on-delivery.